Luke Traynor barely had Denmark on his radar a couple of months ago – but now he wants to make the best impression he can on the World Cross event in Aarhus. It might be his first and last appearance at this particular international event, with the Giffnock North AC athlete eyeing a move to marathon late this year or into 2020 and uncertain if he will return to this kind of level in cross country. Traynor has 10,000m ambitions on the track for the summer season to come but, for the moment, his focus is the World Cross after a sixth place finish in the trials in Loughborough won him his place in the GB and NI team. Joining him in her first international championships at Senior level is Mhairi Maclennan, with the Edinburgh Uni Hare and Hounds athlete having won team gold at the 2017 Euro Cross at U23 level. 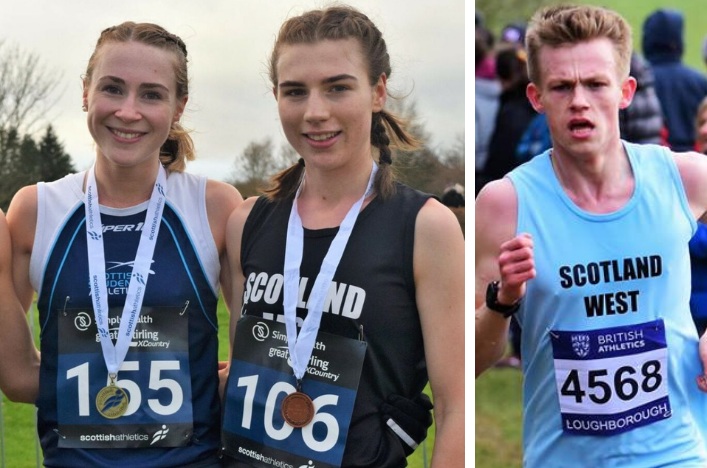 Edinburgh AC’s U20 athlete, Eloise Walker, completes the Scottish trio in the team as she races in the Junior Women’s event after sharing many a training run with Mhairi over the past couple of years. The other Scottish connection to the event is Robert Hawkins, who is now coaching both Traynor and the GB team captain for the World Cross, English athlete Jess Piasecki. 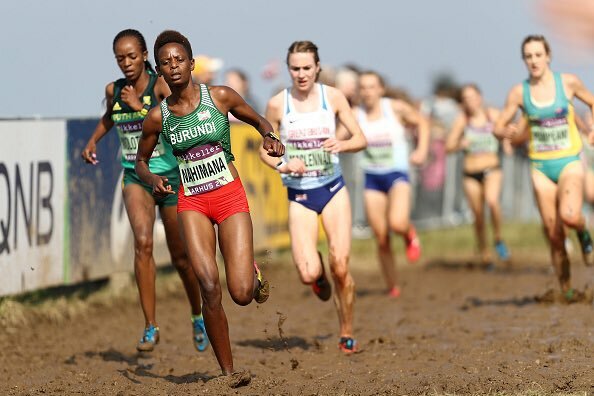 ‘Back in the autumn I was hoping to have a really good season in cross country and be at the Euro Cross, the Great Stirling event and the World Cross. ‘But I didn’t have a great end to 2018 and the plans were changing a bit. Again, towards the end of January, I’d another small injury issue. 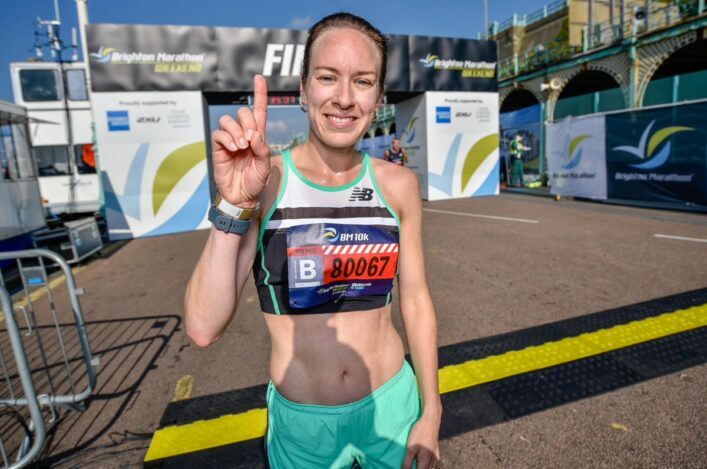 ‘Thankfully, I ran well enough at the Inter-Counties to make the team and now this is a great opportunity to represent GB and NI at an international event. ‘I feel I have nothing to lose because I was sixth in the trials and just made the team. So your first target really is to try and improve on that and get in amongst it among the top Brits (with four to count). 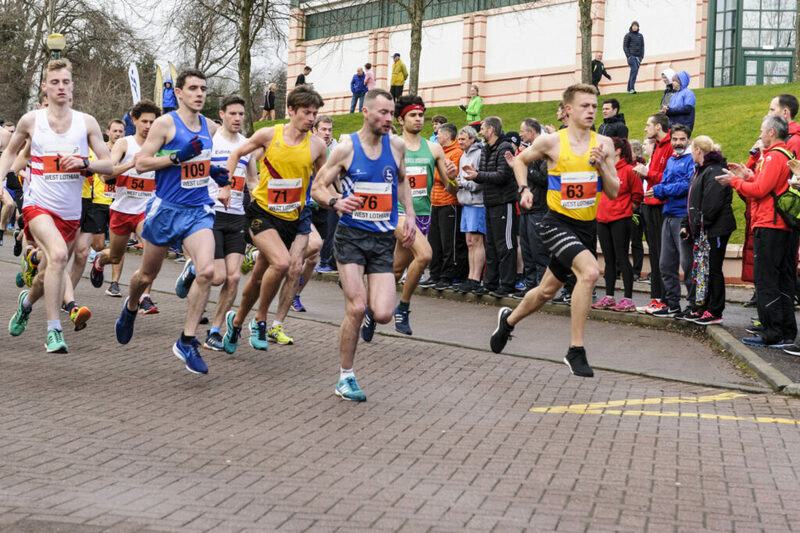 Off and running – Luke is away fast at the start of the National Road Relays before he came home in the second fastest time ever (on the short leg at Livingston). Luke’s good form was starkly apparent at Livingston on Sunday lunch-time. On the opening leg for the National Road Relays, he became only the second athlete in the history of the event at that venue to break 15 minutes (on the Livingston short leg) to go second on the all-time list with 14.59. 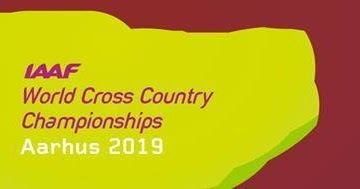 Aarhus will present some different challenge with the Danish hosts having worked for many months to create a more interesting course than is usual at Euro Cross and World Cross. ‘I know we run up and over a museum and also run through a tent or building past spectators,’ said Luke. ‘But the main thing is there are lots of undulations and no real flat stretch. So that might slow people down a little bit. Maclennan, for her part, is relishing the prospect of a big finish to an excellent run of cross country form in 2019 with arguably the Lindsays National XC the only minor ‘blip’ when she finished fourth. Other than, Mhairi has had a series of podium finishes including winning the Inter-District and North of England titles. A bronze medal at the Inter-Counties made her selection a formality and the GB and NI Senior Women will look to make the best impact they can in Denmark. Edinburgh school-girl Walker, who has not yet turned 18, had a taste of international action in January last year at the Great Edinburgh XC but this is her first experience of a championship event representing British Athletics. We wish all three Scots, and the full GB and NI team, all the very best for Aarhus . . .